Ishwar Mukherjee, a 17-year-old student at Scarsdale High School in New York began a program called “33Birds” with his fifth-grade teacher in 2013 with the goal of offering benefits for underprivileged children in their local community. “33Birds,” a program “run by kids aiming to benefit kids” with use of tag sales, was started by a fifth grader with nothing but an idea and a hopeful teacher. Once a fifth-grader, Mukherjee now runs the main location in New York and has expanded to chapters in Utah, Connecticut and Colorado. “We are an incubator, an enterprise that basically runs these tag sales and an operation by kids and even though we have some adults, it’s really a kids-helping-kids kind of thing,” Mukherjee said. 33Birds has sold to over 2,000 customers and specializes in allowing the opportunity for socioeconomically underprivileged children to attend summer camps. 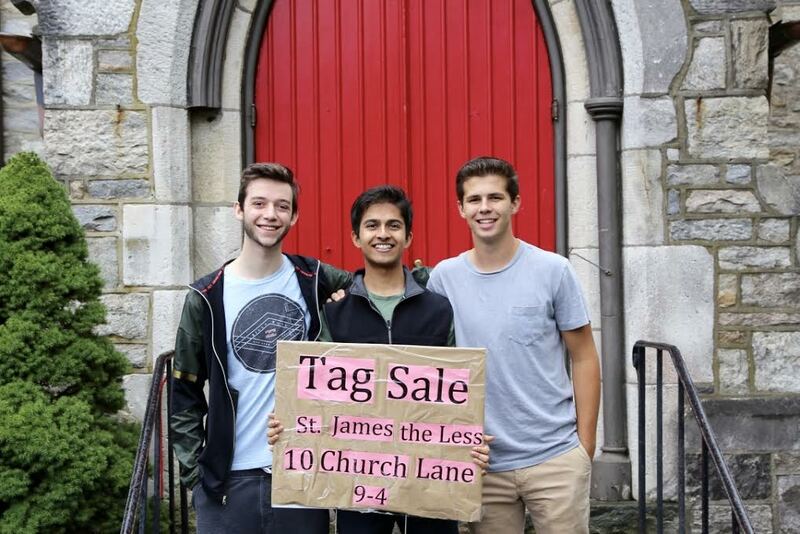 Having raised over 60,000 dollars and aiding the childhoods of over 150 children, organizers Ishwar Mukherjee, Zach Berkson and Connor McCarthy have achieved much in their journey to positively impacting the experience of many children around their county. Volunteering with “33Birds” allows a donator to witness exactly where their items and goods are going and the impact their involvement is making in the lives of others. “One of our volunteers submitted a jacket which she recognized at the tag sale and realized that it was being bought by a grandma who was looking for winter clothes for her grandchildren,” Mukherjee said. The organization’s core values, as described by the founders, are to “break economic and social borders between isolated youth communities” and to “instill values of community engagement in local youth.” The organization does not only offer unique experiences to underprivileged children but is also an organization of which others around the area can get involved in. “We help the nearby communities by raising money, holding these tag sales, offering goods at lower prices and by offering these kids a simple way to get involved in the community, both elementary school kids at ages ten and twelve along with high school kids with the logistical side,” McCarthy said. “It’s overall a very efficient operation and we’re excited to expand to more kids and make an even greater impact on a greater community.